Warts (verrucae) are caused by a virus called the papova virus. 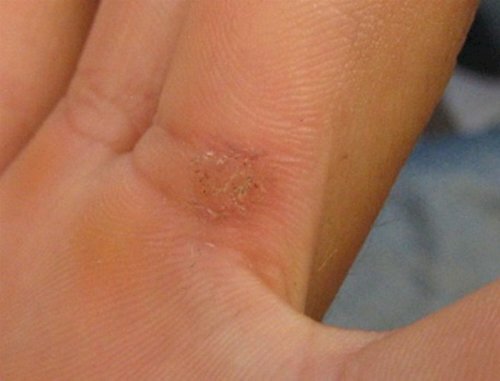 The numerous strains of papova virus that cause the common wart are transferred by physical contact and enter the skin at the point of contact. The papova virus has a long incubation period ranging from 1 to 20 months, meaning that it may take quite some time before a person will notice any presence of a wart. Warts seem to thrive in skin that is thick and moist. Therefore, we tend to find warts on the palm of the hand and the sole of the foot. Warts are found equally in men and women. Warts are common in adolescence, becoming less common in the 3rd and 4th decades of life. The symptoms of a wart(s) will vary based upon their location, total number of lesions, thickness, and severity. Plantar warts, those warts found on the bottom or plantar surface of the foot, can be quite painful when directly under a load-bearing surface such as the heel or ball of the foot. The periphery of a wart often thickens with callus that becomes painful with ambulation. Contrary to popular belief, the wart virus is not systemic and does not "circulate through your system." Warts are only contracted by direct contact with the skin. 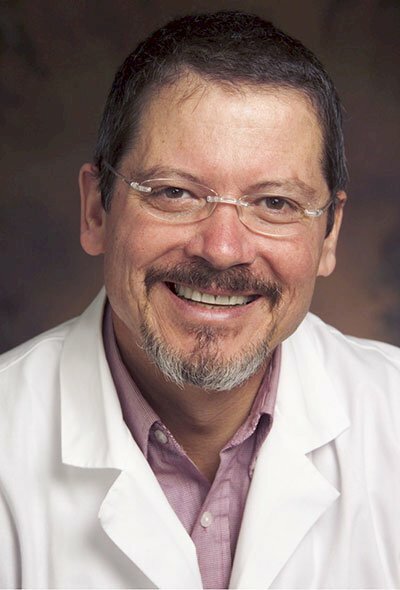 One theory regarding the etiology of warts suggests that the virus is able to enter the skin at areas where the skin has sustained recurrent damage. The skin on the hands and feet can be damaged in a number of different ways. Examples of injuries include fissures or cracks in the skin, fissures in the cuticle, chronic nail biting, and maceration caused by excessive perspiration. 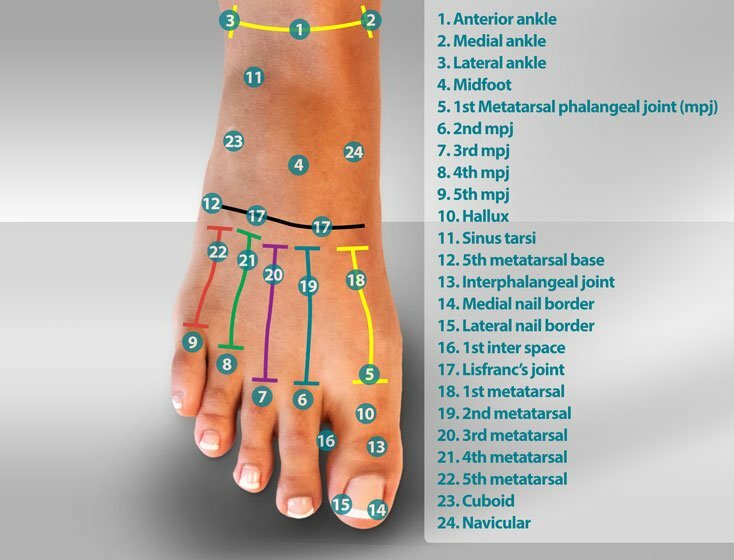 The term plantar wart refers to the location of the wart on the bottom or plantar surface of the foot. Warts are saprophytic, meaning that they need something (or someone) on which to live. It is not well understood why the papova virus prefers one individual over another. We have to assume that the immune system in these susceptible individuals does not or can not recognize the wart as a foreign tissue. Warts are rare in infants and older adults. Children and adolescents are particularly susceptible to warts. It seems the papova virus is able to "fly under the radar screen" of an adolescent's immune system. One theory that attempts to explain this preponderance of warts in adolescence questions whether puberty is so overwhelming to the immune system that the papova virus is not recognized as foreign tissue. In the near future, studies in immunology should shed some light on the papova virus and help us understand some of the changes we see in our immune systems as we age. Another theory proposed to explain why teens are so susceptible to the papova virus relates to dietary intake of Vitamin A. Vitamin A is found in green leafy vegetables. Teens are well known for their distaste of spinach and green leafy vegetables. Is there credibility to this theory or is simply a way for moms to get their children to eat their vegetables? So far the jury is out on this theory, but from a scientific standpoint, we do find high doses of Vitamin A to be useful in the treatment of warts. The causes of wart infections are not well understood. Contributing factors include age and compromised immune systems. There are probably more ways to treat a wart than any other condition in medicine. What that implies is that there is no one method of treatment for warts that is superior to any other method. In selecting a treatment method, it's important to remember that warts are a self-limiting condition, meaning that most warts do resolve on their own over time. I know this doesn't help someone who has a painful wart, but bear in mind, treatment methods have changed dramatically over the past few years. As a result, many physicians are becoming less aggressive with their treatment choices. The treatment of warts can be divided into two types of care: old-school methods and new school methods. Old-school treatment methods focus on the fact that the wart tissue is bad and bad tissue needs to be destroyed. Freezing (cryotherapy), hyfercation (burning), and surgical excision were commonly used methods of care. Serial application of topical acids is another old school method that is often used both as a home remedy and one common in the doctor's office. New school methods focus on changing the patient to be *less of a host* or *less liked* by the virus. If a wart seems to like you, it's perhaps time that you change. There are a number of ways to accomplish this change. Some methods are considered internal and others are considered external, while some employ a combination of both. Vitamin A is a common nutritional supplement that can be used as a medication to change the internal characteristics of the skin. Vitamin A has been shown to clinically change many skin conditions including acne, wrinkles, and warts. Vitamin A is a fat-soluble vitamin, meaning that it is dissolved and stored in body fat. In the subcutaneous space - that area just beneath the lowest layer of skin - all of us have a layer of body fat for warmth, possible fuel (stored as fat) and storage of important minerals we use on a daily basis. The fat pad of the palm of the hand and the sole of the foot are condensed pads of fat. Vitamin A is known to provide a supporting role for the skin, and in the case of warts, Vitamin A appears to alter the nature of the skin to a degree that the skin becomes inhospitable to the wart. Subsequently, the papova virus dies. Do be careful when using vitamin A, as it may be toxic in large doses. Most texts recommend a dose of 20,000 to 30,000 units daily for a period of three months for adults. We recommend that you contact your doctor for advice on using high doses of Vitamin A.
Drying the foot is an important aspect of the new school approach to treating warts. Use of a drying agent on a daily basis to decrease perspiration of the foot significantly changes the character of the skin and often reduces wart counts. Drying the skin is an external, new school method of changing the individual, subsequently making the life of the papova virus more difficult. Another medication used to treat resistant warts is called Aldara (5% Imiquimod cream.) Aldara reduces the DNA of human papilloma virus subtypes 6 and 11 by the increase in production of cytokine. Aldara is currently FDA approved for the treatment of external genital and perianal warts (subtypes 6 and 11). Although the use of Aldara is considered "off label" when used for warts of the hand or foot, many dermatologists and podiatrists are now trying Aldara for resistant warts of the hands and feet. Aldara is used under occlusion, meaning that the medication is applied and then covered with a plastic occlusive wrap. The cost of Aldara is a significant consideration when considering its use. Most contemporary dermatologists consider Aldara as a method of treatment only for cases of resistant warts. In resistant cases of warts that fail to respond to new school methods, mechanical debridement of the wart is indicated. 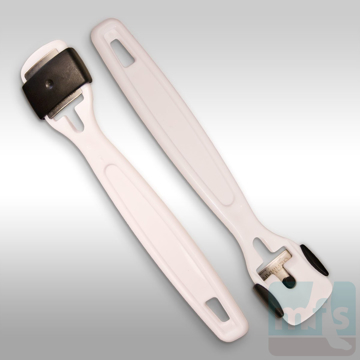 Removal of the wart with a curette, scalpel, or laser is still used by many doctors. A CO2 laser is effective in removing large areas of virus. The CO2 laser is helpful in defining the margin between the wart and adjacent healthy skin, subsequently resulting in less post-op scarring. Each of these minor surgical procedures requires a local anesthetic and does result in some degree of short-term disability due to limited post-op pain. Surgical excision of a wart can often be performed with a local anesthetic in an office setting. Large numbers of warts that cover significant surface area are best treated at an out-patient center using a local anesthetic with sedation. The images below show the steps taken to excise a wart. Images 1 and 2 show prep of the surgical site and definition of the border of the excision with a tissue nipper. Images 3 and 4 show the use of a curette to bluntly dissect the wart free of the dermis (deep layer of skin.) Image 5 shows the application of phenol (77% carbolic acid.) Phenol acts as both a topical anesthetic and cautery agent. Image 6 shows packing the wound with 40% salicylic acid. Sal acid is used to chemically destroy any residual papilloma virus left following curettage. Image 7 is the specimen viewed from the bottom, or underside, of the wart. This specimen is an example of how well warts are compartmentalized. Stippling - The lesion is anesthetized and a fine needle is used to pierce the wart over and over. This method destroys the vascular network within and beneath the wart. Injections of neoblastic agents - Bleomycin and 5-flurouracil have been injected directly into the wart. These agents act as chemotherapy for the wart to arrest its growth. Tagamet - By coincidence, folks taking Tagamet for stomach problems find that it does have an effect on warts. Most literature suggests 1200mg daily in divided doses. Tea tree oil - This is a popular alternative approach. Tea tree oil is available in most health food stores and is applied daily to the lesion until it is gone. Topical vitamin A - Topical application of vitamin A has worked for many. Some break open a vitamin A gel cap or even use cod liver oil topically. Half a potato - I mention this folk remedy because it has worked for many people. Rub half of a potato on the wart and bury it in the back yard. Obviously, the power of suggestion is effective in treating warts. Cryosurgery - Freezing the wart is a popular method. 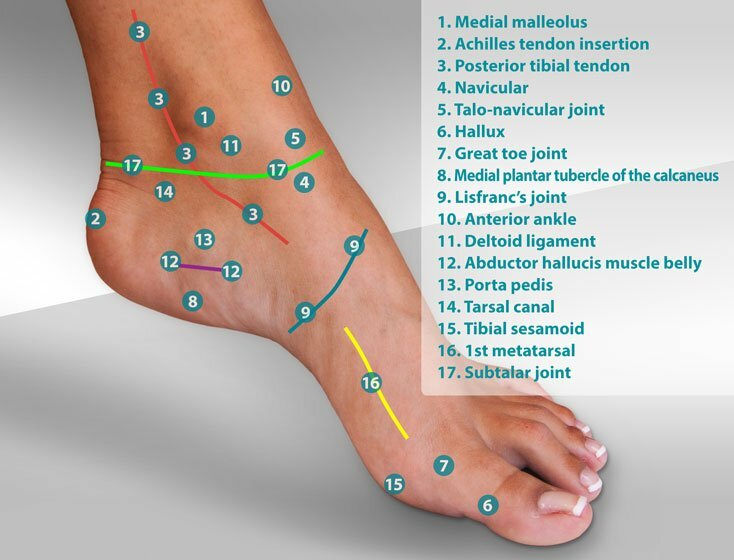 It works well for lesions in areas of thin skin such as the top of the foot or hand. The thickness of the palm or sole does limit the effectiveness of this method. 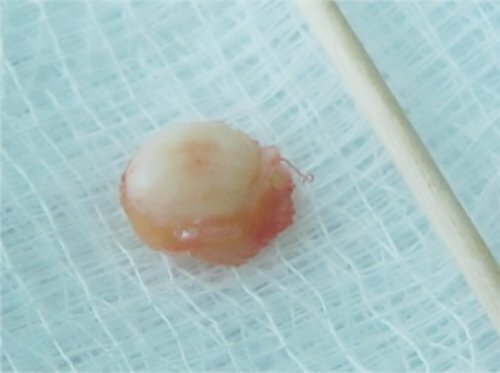 Cryosurgical methods work by forming a blister beneath the wart. This technique can be painful for some patients. Duct tape - Don't laugh, it can work. Covering a wart with an impervious barrier such as duct tape can alter the environment in which the wart thrives. When practical, covering a wart for 4 weeks with duct tape is an acceptable method of new school treatment. Covering the skin with a non-porous tape like duct tape is a great, new school way of changing the skin. In many cases, the use of duct tape can become impractical if trying to keep the tape on becomes too much work. The duct tape approach can work well on easy places to wrap like fingers and toes. If you can't keep the duct tape on for 4 weeks, your success rate of treatment will be somewhat less than optimal. In this case, you may want to fall back on a different method of treatment. Warts that fail to respond to conservative care should be evaluated by your podiatrist. 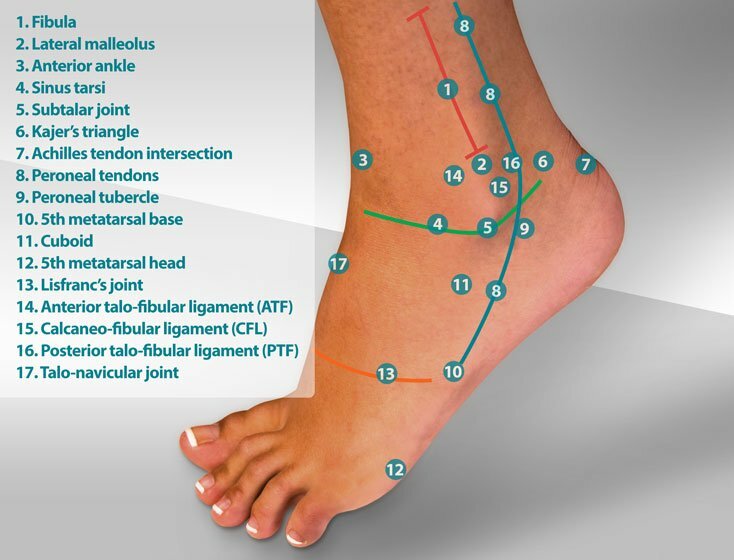 This article was written by Myfootshop.com Medical Director, Jeffrey A. Oster, DPM. Warts by Myfootshop.com is licensed under a Creative Commons Attribution-NonCommercial 3.0 Unported License.